Chickens, Eggs, Bunnies, they are everywhere for Easter celebration. 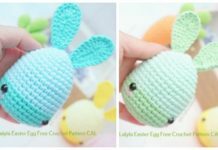 Today Craftsy Amore is going to share a gorgeous crochet Easter chicken with fan tails, they are great for Easter decoration by adding poly fils in body, or just serve as egg cozy to make your Easter table more inviting. Display this super adorable crocheted chicken in your kitchen or living room. It’s the perfect decoration for Easter. The chicks and chickens are so irresistibly cute you might end up keeping them all year round! 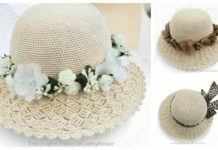 Make a set for yourself or give one away as a gift. 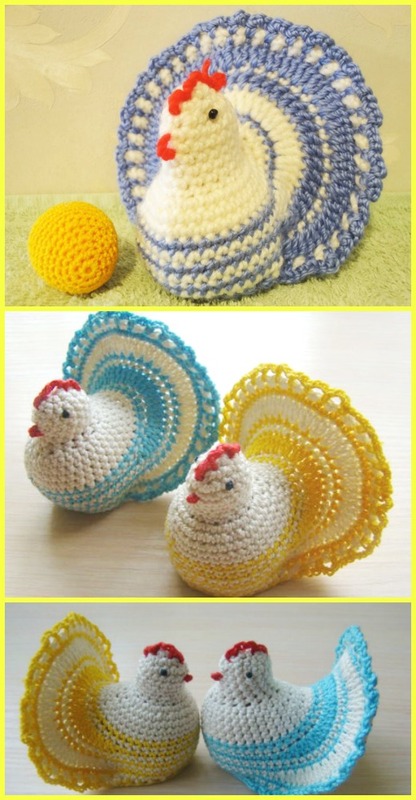 Advanced crocheters will surely enjoy creating this crochet chicken by following the video instructions created by Natali. 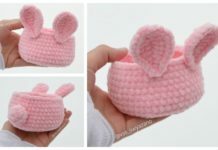 It’s the perfect project for Easter. Happy crocheting.